Need to ask a legal question about your Tenant rights? Tenants.com can help with your tenant legal questions. Things don’t always turn out the way you expect. This is especially true in renting a home or apartment. Unfortunately, sometimes as a tenant you have to take legal action. Other times you just need advice on how to handle a situation. We have the resources to give you what you need by asking an attorney about your tenant legal questions. Consulting an attorney first can save you lots of money and help you determine the next course of action to take. Additionally, we provide legal forms and documents that you might need as a tenant. As a tenant, you need to protect yourself just as the landlord protects him/herself by making you sign a lease. 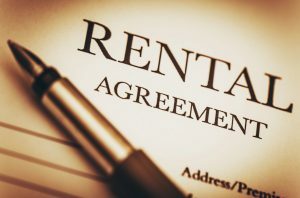 You may need to sign an agreement with the roommate that you agree to move in, or with the independent contractor that you hire to make improvements to the rental property. Maybe you need to provide an affidavit to your landlord, or a guarantee for a loan. If you hire a contractor to do work for you, we suggest that you have them sign an Independent Contractor Agreement with verifies proof of insurance. Whatever you need as a tenant, Tenants.com is here to help.